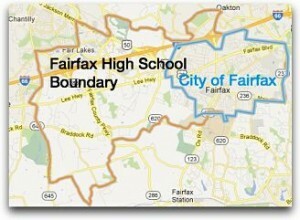 Fairfax County School Boundaries: How often do they change? It’s the beginning of the fall season and your favorite apparel store is having a sale. You promptly go in and buy yourself a few key pieces to enhance this season’s wardrobe. But when you get home, there isn’t much space in your closet – so you re-organize your closet so that all your clothes fit better. Each year, school districts find themselves in the predicament of having to re-organize their attendance areas so that their schools’ enrollment are evenly distributed.